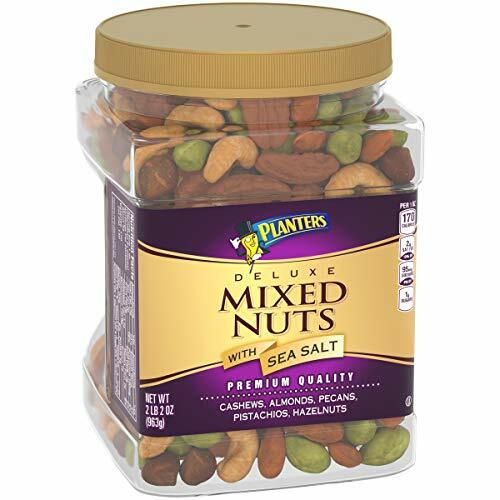 Planters Deluxe Mixed Nuts with Sea Salt – These Planters Deluxe Mixed Nuts are a crunchy and versatile snack that the whole family can enjoy together. 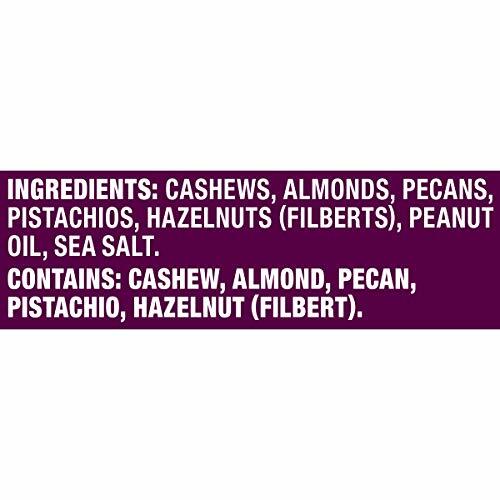 Use them as an appetizer on game night, pack some in a bag for your next road trip, or simply set out a bowl on the table to munch on throughout the day. 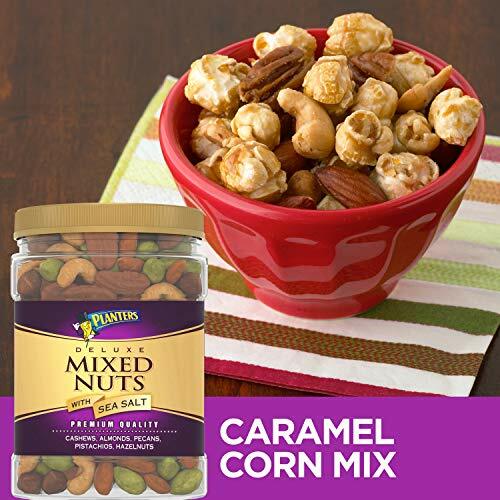 This delicious mix contains almonds, cashews, brazil nuts, hazelnuts and pecans. 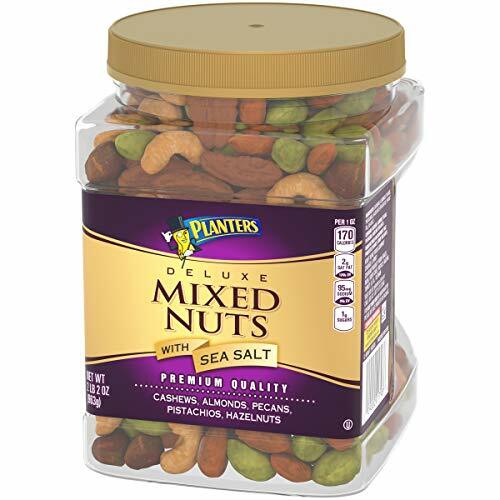 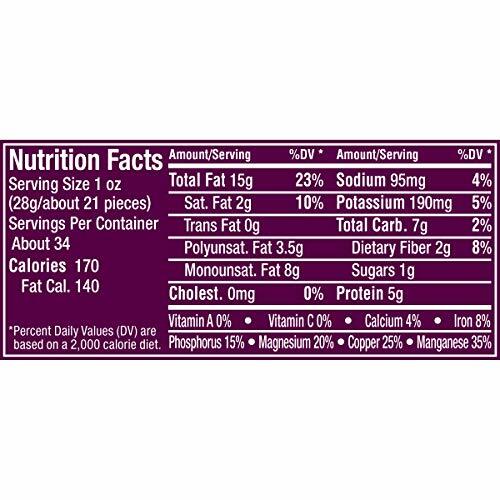 The nuts are seasoned with pure sea salt, which enhances their distinctive natural flavors. 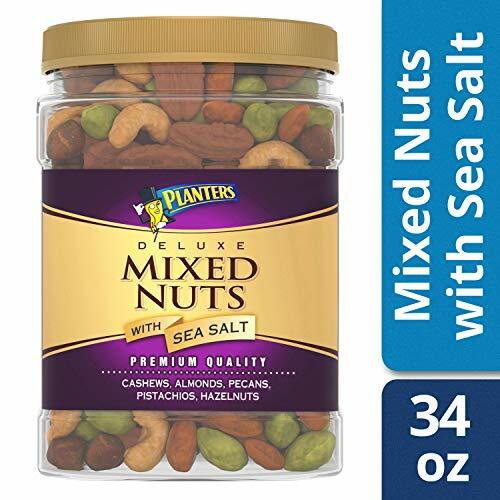 Crunchy and Filling Snack – Great for snacking at home, at work or on the go, the Planters mixed nuts come in a convenient resealable jar. 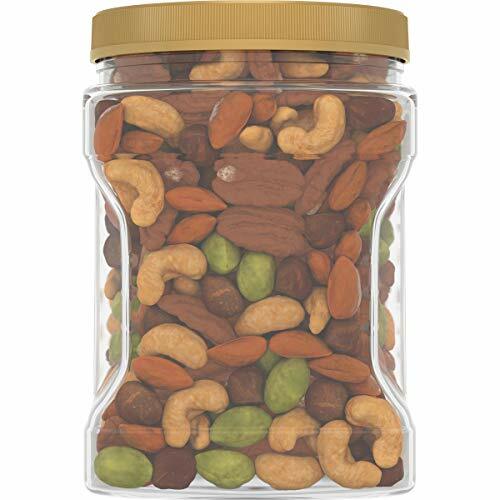 Each serving contains plenty of healthy fats and protein, helping you stay full throughout the day.